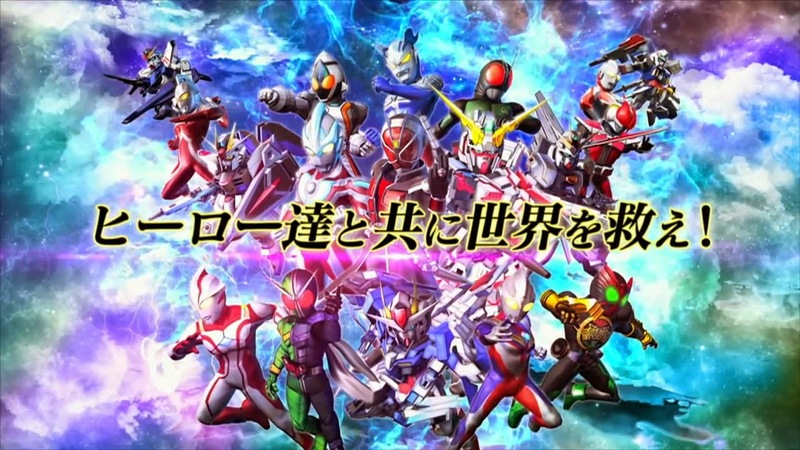 Tokunation › Kamen Rider › Super Hero Generations: Opening and Gameplay Videos! Super Hero Generations: Opening and Gameplay Videos! It’s almost December which means time to get ready for that Holliday shopping. 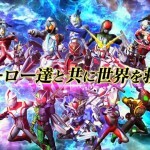 For those out there looking to get the perfect stocking stuffer for that special Toku fan, there’s Super Hero Generations: a crossover title involving Ultraman, Kamen Rider, and Mobile Suit Gundam which was released on PS3 and PS Vita just last month. I want it! Lol I might get it eventually, but still! I want it! I just want to know why Riders and not Sentai Robos. One of these things is a puny fleshling. Uh. Strange there's no sign of Gaim anywhere on the boxart, instead they plop Wizard dead center. SD Gundams VS Rider and Ultraman? Im down! Wish we could get a new proper Compati Hero game. Those were awesome. the previous Rider v Ultra v Gundam game has OOO as the most recent rider despite being Fourze's run. game has probably been in production for too long to have Gaim ready.